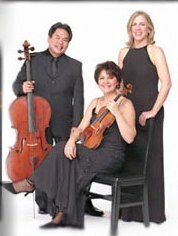 The Merling Trio will perform in our Lobby on November 18. The acclaimed Merling Trio, a violin-cello-piano ensemble, will perform here on November 18th at 4 PM as part of the Santa Cruz Foundation for the Performing Arts (SCFPA) Benderly 2012-13 Concert Series. The Foundation is the premier classical music organization for the region, holding performances at members’ homes and in our building. For tickets to the November 18 concert, please call the SCFPA directly at: 1-888-202-1942 or 520-394-9495, or please visit: http://scfpapresents.org to reserve your tickets pre-concert (recommended) and learn more about membership.